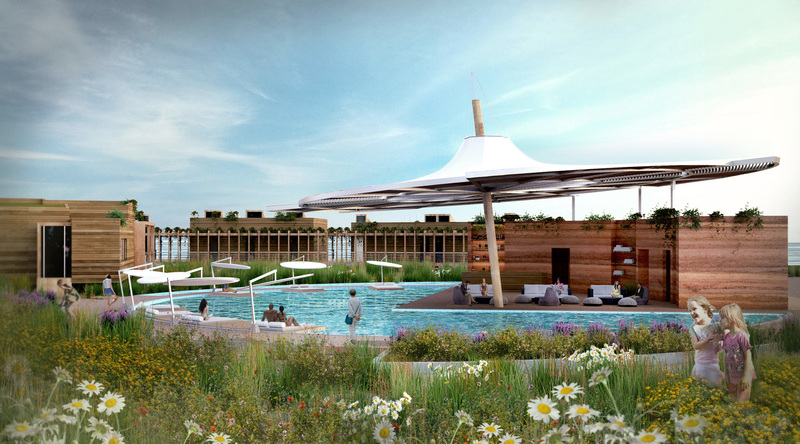 Posidonia is the first “Glamping” hotel to have ever been designed in Greece. The word “Glamping” derives from the words “Glam” and “Camping” and aims to create a new hotel typology where luxury lodging is combined with the notion of camping. 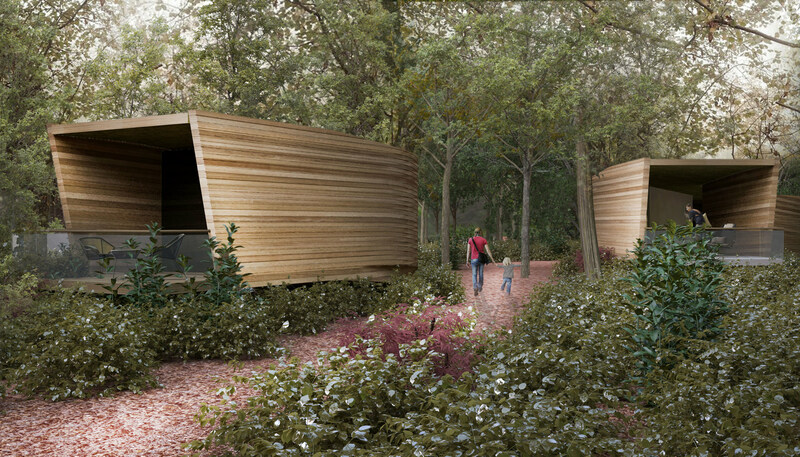 In association with the Hellenic Tourist Properties, the aim of the design was to create a new hotel settlement that would act as a prototype for future tourist developments in order to create an architecture that is fully integrated into the landscape and, at the same time, has a minimum environmental impact. 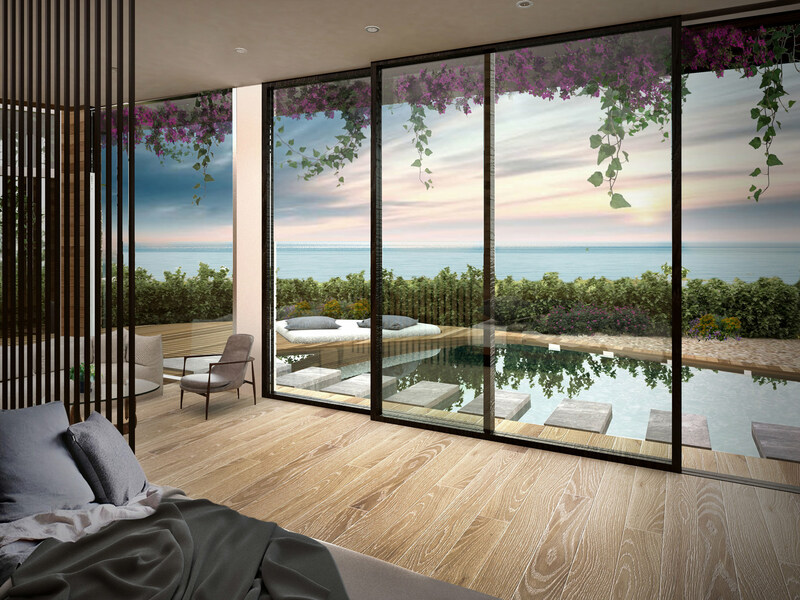 Part of the allocated plot was characterised as Natura due to the underwater meadows of the sea grass “Posidonia Oceanica” which is regarded as a natural bio-indicator for the seawater quality. The resort has a capacity of 300 rooms and suites and is situated in a thirty eight acres plot of land. The architecture respects the natural beauty of the area and underlines the existence of this underwater park. The organic (non gridded) layout of the master plan relates to the morphology of the algae and at the same time achieves maximum flexibility regarding the positioning and orientation of the buildings around the natural vegetation which remains completely intact. The design of the bungalows is inspired by the various species that live around the meadows. This “loose” notion of biomimicry freed the design for any kind of form limitations and allowed an unique experimentation, research and development with eco-friendly materials since all building units are made out of natural materials such as western cedar and rammed earth. The resort has all the necessary facilities of a contemporary five star hotel such as restaurants, conference rooms, spa and gym and is consisted of small scale light weight wooden buildings on pillars programmatically arranged in clusters. 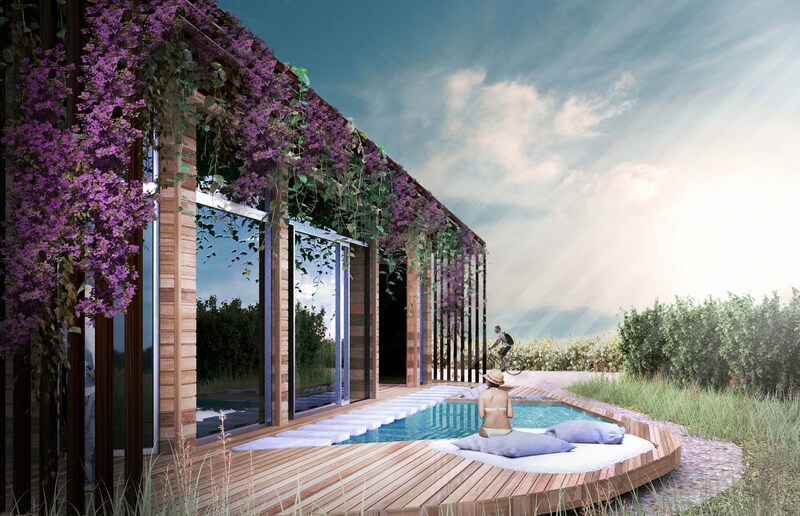 Instead of a large swimming pool that is intrusive, several smaller communal swimming pools, constructed in large land openings with no trees, are located across the plot and offer an opportunity for relaxation and socialising. Posidonia, unlike the majority of Eco resorts that rely exclusively on exotic locations and natural materials goes a few steps further. 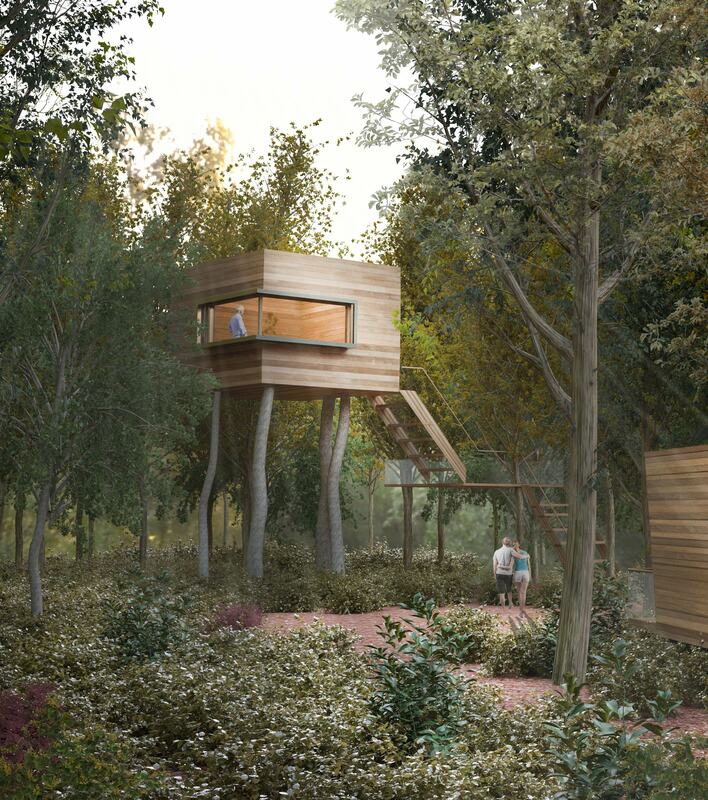 Outdoor main living spaces, communal kitchens, vegetable gardens and bathrooms which open up to private gardens combine luxury accommodation with the notion of camping. The suites are no longer secluded nor enjoy prime locations along the seafront. There is instead a more democratic layout where suites and standard rooms coexist harmoniously around the landscape. To achieve energy zero emissions required a combination of strategies such as geothermal energy, passive and solar shading, environmental friendly and recycled materials, solar chimneys, photovoltaics and composting systems.